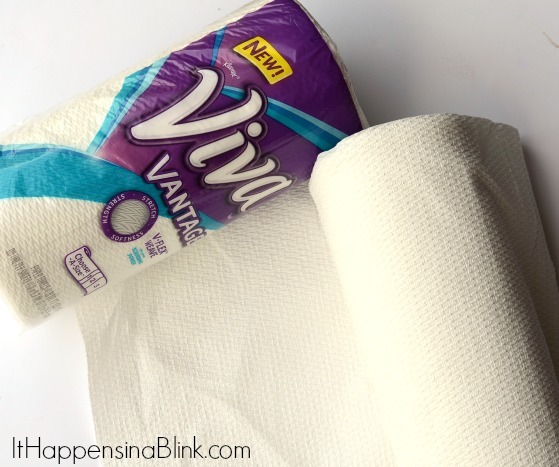 Thanks to Viva® Vantage Paper Towels for sponsoring today’s Handled Sponge Stamps craft project and discussion. 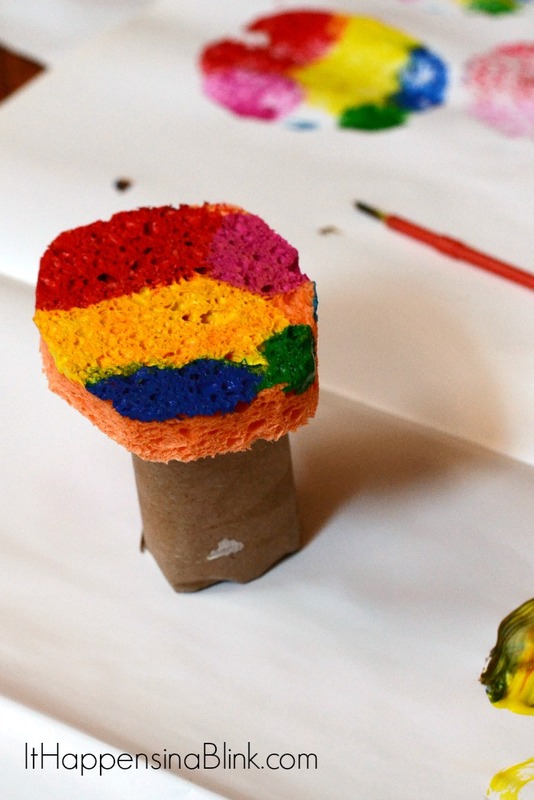 Whenever I use paper towels, I hate to waste any part of the roll, so I even use the paper towel roll center for crafts! 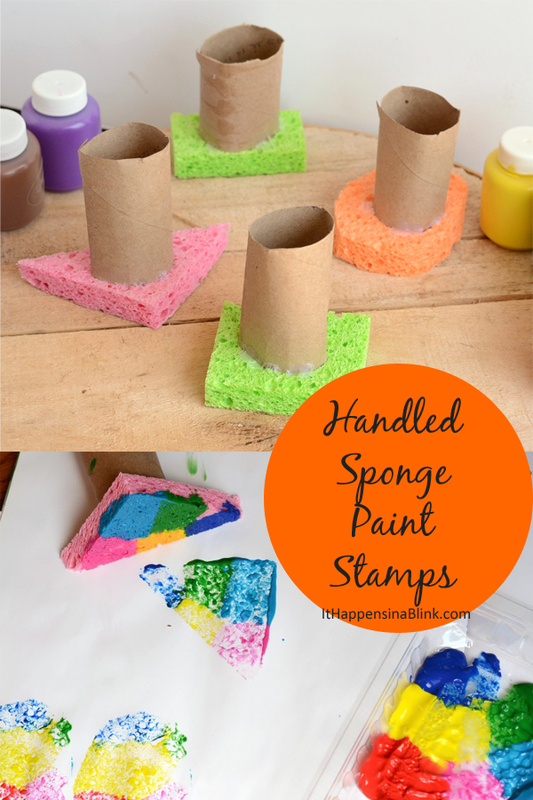 These Handled Sponge Stamps are a great way to enforce shapes and motor skills with preschoolers, and they help keep messes at bay with a handle so that no one’s hands have to get paint-sticky! Please note that while the end result of this craft is for kids, the assembly is R-rated: adults’ only, folks, due to the hot glue! 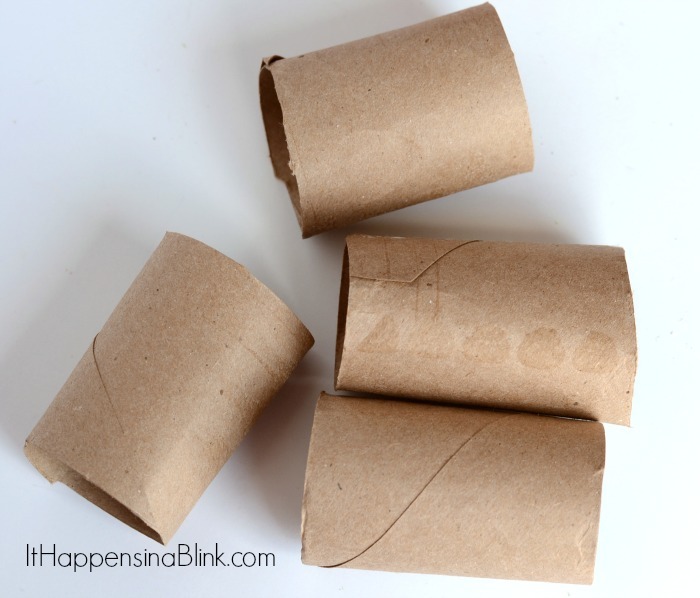 Using the scissors, cut the paper towel roll center into four equal parts. If your kiddo is feeling overly creative, let them decorate the cardboard. 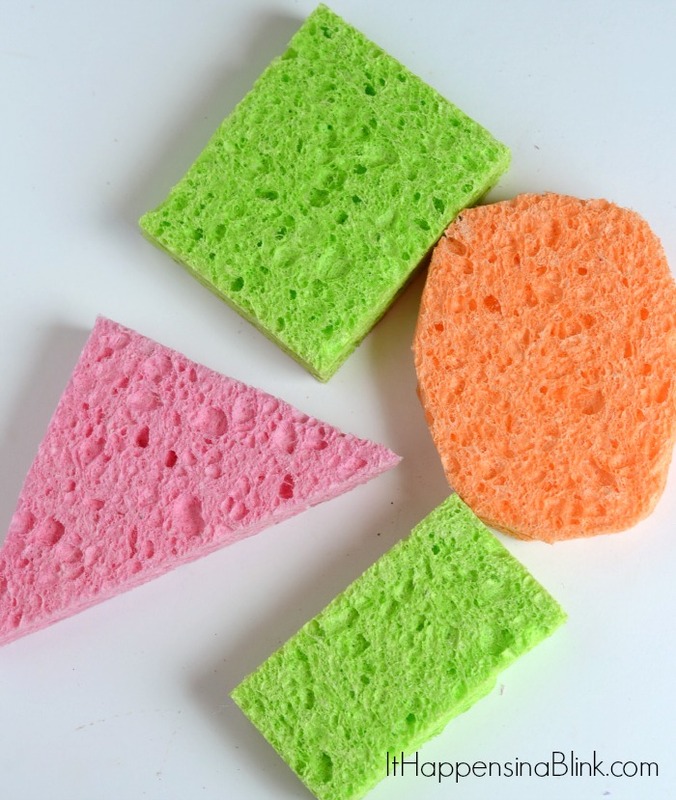 Cut the sponges into different shapes. I did two sizes of rectangles, 1 oval, and a triangle. 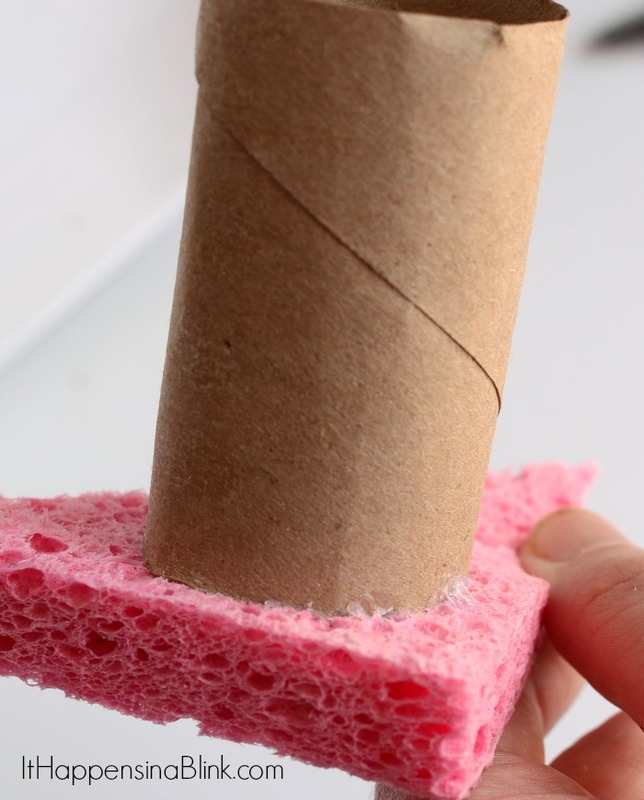 Hot glue one cardboard tube to a sponge shape. Continue with the other three. Get to painting! My daughter had fun using handled sponges. She’s a little on the girly side, so she appreciated the ability for her hands to stay clean while sponge painting. She also found a use that I didn’t think of- she turned the tubes upside down to keep the paint from getting on the paper when she wasn’t using them! This is a fun and simple idea, I love it! 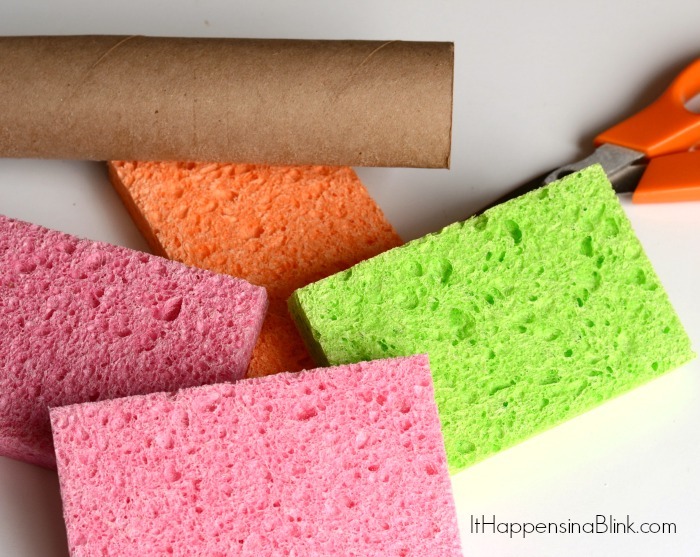 How do you clean sponges without ruining attached roll? Hi, Rhon! For us, we used this when my kids were very small and still at that stage where they didn’t want to get their hands messy. I would just let the paint dry completely, and then they would use them again. We would use them until they were too messy and gunky. With little hands crushing the roll portion, the top part doesn’t last very long anyway! Also, the way that they are attached to the sponge isn’t extremely permanent. You could tear them off and glue a new roll piece on there. Thats awesome!!!!!! 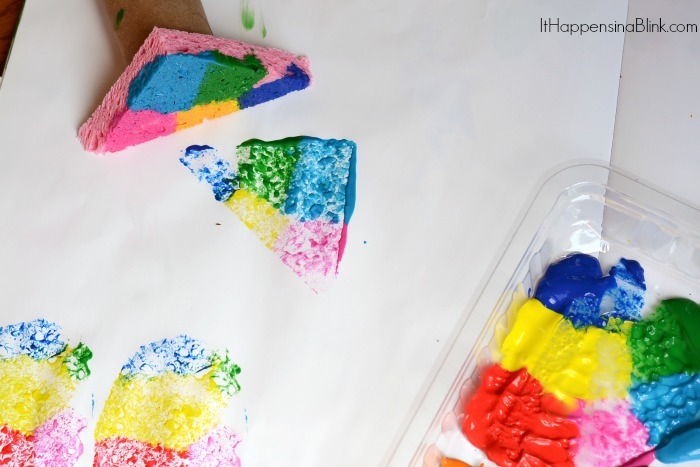 Will surely make this for my class.Kids will love it.Thanks for sharing!! !